Purpose: The purpose of the document is to explain what an exhaust cutout is and its purpose. We also have a link to a small mpg video that lets you listen to our cutout. Preface: This is an exhausted topic (no pun intended) that we hope we can shed some light on. We also have a link to a small mpg video that lets you listen to our cutout. Click here to watch the video! We start by showing several pictures of an actual exhaust cutout you can buy from many performance vendors (see Figure 1). The cutouts are both made by Flow Tech. Notice the shape of the cutout is in the shape of a "Y". This is one example of an exhaust cutout. They all favor the basic shape shown in Figure 1. 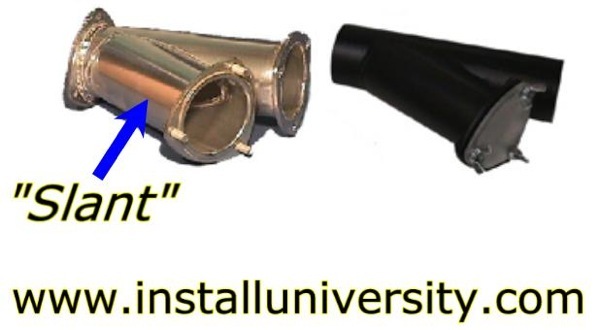 The purpose of the exhaust cutout is to bypass the remaining exhaust system after the point at which the cutout is installed. 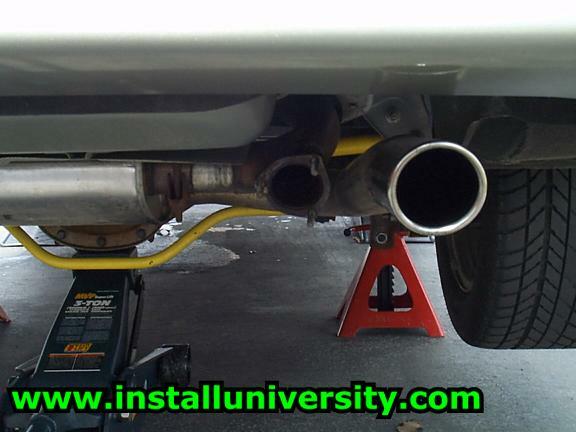 When you bypass the remaining exhaust system you are making it easier for the engine to get rid of the exhaust. Therefore, you will gain horsepower and torque by making it easier for your engine to work. The factory exhaust system is restrictive and holds back the full potential of it. Example: Take a straw and blow through it as hard as you can. Then open your mouth as wide as possible and blow as hard as you can. Notice how much easier it is to exhale with your mouth wide open? Think of your muffler as the straw through which your engine has to blow. Now think of the cutout as the engine being able to open its "mouth" to exhale easier. So how is the cutout shown in Figure 1 installed? A local muffler shop will cut a section out of the existing exhaust pipe that runs back to the muffler the length of the cutout. Most people place their cutout right after the exhaust pipe from the driver's side of the engine meets up with the exhaust from the passenger's side of the engine (see green arrow in Figure 2). The cutout will be positioned so that the "Y" is inline with the pipe and the "slant" off the cutout is facing down toward the ground and the rear of the car. 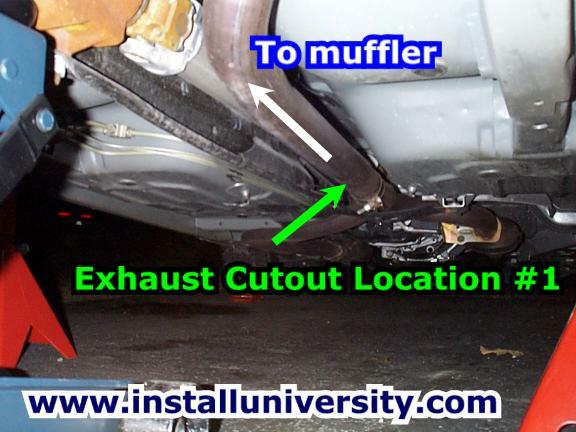 The other place on the car to get an exhaust cutout installed is at the rear of the car just before the muffler (see blue arrow in Figure 3). This style cutout can be made at the muffler shop (most common way) or you can have the exhaust shop install the cutout you purchased. The same procedure for installing the cutout in the middle of the exhaust system is followed for installing the cutout at the rear of the car. If the exhaust shop makes your cutout then they will take a small exhaust flange (every shop has flanges) and cut it to fit the pipe at an angle. The flange should be inline with the pipe as it comes down over the axle getting ready to turn and enter the muffler. They will then cut a hole out of the existing pipe and weld the flange to the pipe. Your final result will look similar to the exhaust cutout in Figure 4. You can see a view from further out behind the car in Figure 5.